Allegations that News International journalists were involved in hacking people’s phones for information led to the closure of the 168-year-old News of the World tabloid in 201. The scandal went to the heart of Downing Street with two of the Prime Minister’s friends in the dock – Andy Coulson and Rebekah Brooks. Alongside Brooks and Coulson was former managing editor Stuart Kuttner. Five others had pleaded guilty to conspiracy to hack phones before the trial began: private investigator Glenn Mulcaire, news editors James Weatherup and Greg Miskiw and reporters Neville Thurlbeck and Dan Evans. 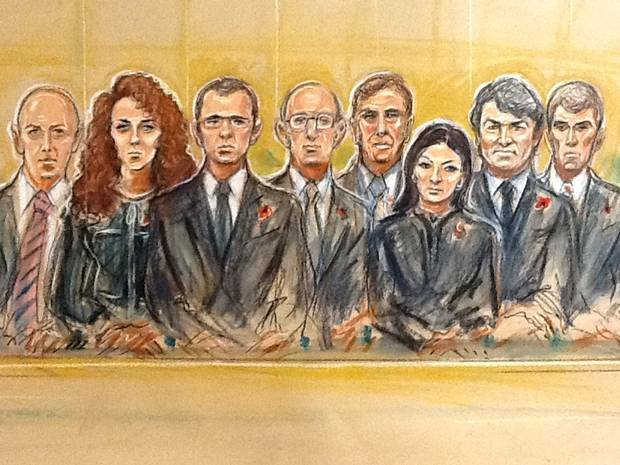 Andy Coulson was jailed for 18 months – Rebekah Brooks and Stuart Kuttner were found innocent. One man was there from the very start and ended up covering the whole of the trial – which lasted 138 days and cost up to £100m. He is the journalist Peter Jukes and he’s written a booked about what was the trial of the century – called Beyond Contempt and he spoke to Jason McCrossan.